It’s wrong to kill a person, but permissible to exterminate a rat. By this logic the average Nazi could convince himself killing Jews was okay since Jews were “rats”—dangerous and disease-carrying rats. So observes David Livingstone Smith in his 2012 book, Less than Human: Why We Demean, Enslave, and Exterminate Others. It’s hard to kill or enslave your own kind, Livingston says. Easier to kill something subhuman, especially if it’s systematic and legally sanctioned killing. A murderous regime doesn’t only need power, it needs legitimizing, a moral argument, a sense of its . . . rights. Jumping to our own day, is it any wonder, then, that pro-choicers call the entity inside a woman’s womb—well, what shall one call it? A fetus? Organic tissue? Uterine contents? A clump of cells? A part of the woman’s own body, like an appendix? Further, we should not be surprised that pro-choice forces employ our most sacred American values to maintain their regime: “choice” or “freedom” or the “rights of a woman.” There are no greater arguments than these in the American moral universe. Except, perhaps, life. So that thing must not really be a human life, right? Yesterday, the oppressors used the language of science—called race science—to downgrade the humanity of their victims or slaves. African Americans didn’t have “white blood.” The Nazis claimed to have developed a test for revealing non-Aryan blood. How careless, then, for Hillary Clinton to stumble off script in April. “The unborn person does not have constitutional rights,” she said in a MSNBC interview. Didn’t she get the International Planned Parenthood memo instructing pro-choicers not to use the “p” word? Well, not a full child, apparently. You can have some level of moral obligation to a subhuman child. You’ll feed your slave’s children, for instance. So, fine, fine, “fulfill your obligations,” Clinton concedes, but remember, that “does not include sacrificing the woman’s right to make decisions.” Ah, there we go, safely back on script. A still-popular definition dates back to Greek antiquity: man is a rational animal. Unlike other beasts, humans can think (sometimes). A simple theory, but it doesn’t morally suffice. Personhood transcends endowment of some intellectual faculty. If personhood depends on rationality, what are we to make of the mentally impaired, or of those who suffer severe dementia, the comatose, or, in this case, the not-yet-born? In fact, if you’re a mother, you now have exactly that power. 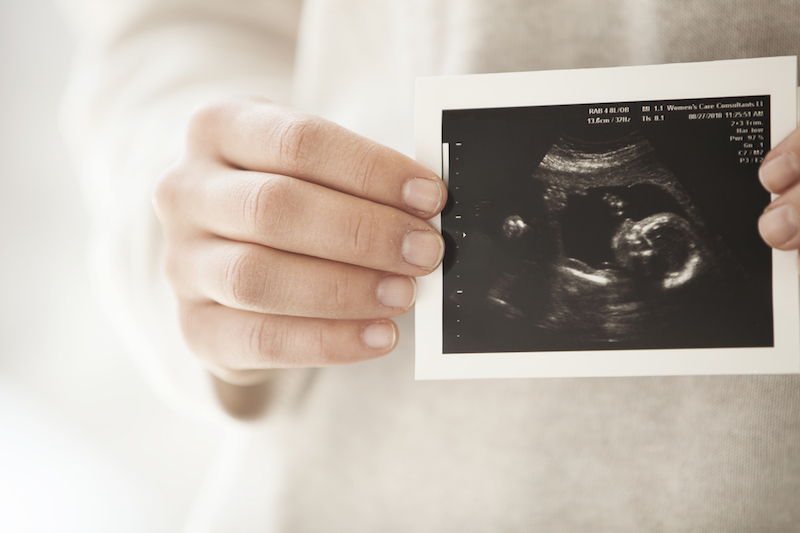 In Roe v. Wade, seven judges determined that a woman has a “right to privacy” based on her possession of her own body and its reproductive organs. She must be treated as autonomous and as possessing the right to terminate a child who is not yet “viable” (could not survive) outside her womb. In other words, an unborn child’s dependence on its mother is twisted to mean the mother possesses complete authority to determine whether or not the child is a viable person. A mother can dehumanize it if she wants. Prefers. Wills. Since then, other philosophers have reasonably extended this will-to-power logic a step further, granting parents the same authority over their infants. And why not, if membership in the species is not the standard? Peel off all the Fourth of July, freedom-and-rights-talk niceties, and here we have the core of the pro-choice argument: You are not a human person if I don’t want you to be. And I have the power to make it so. The greatest evil is not now done in those sordid “dens of crime” . . . [or] even in concentration camps and labour camps. . . . It is conceived and ordered . . . in clean, carpeted, warmed and well-lighted offices, by quiet men with white collars and cut fingernails and smooth-shaven cheeks who do not need to raise their voices. Maybe, like, on the Senate floor? Or in the doctor’s office? Finally, in fact, Smith’s explanation doesn’t go far enough. It’s not just that we dehumanize others; we divinize ourselves. We would be gods. We would judge who is and who is not human. We would grant ourselves power to assign life and death. Editors’ note: This article originally appeared at Canon and Culture.